Includes pad holder, batteries, and charger!!! 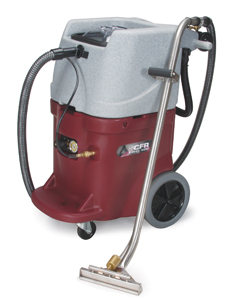 Pro 500 is especially designed for superior carpet and hard surface restoration, as well as general maintenance. The system also tackles upholstery, modular office panels, fabric-covered walls, and hard surfaces such as grouted tile, marble, and vinyl wall coverings. The Pro is the highest performance system available for the residential, commercial and industrial cleaning. The unique plunger pump and motor system will allow the Pro 500 to produce 1.35 at up to 500 p.s.i. of deep cleaning power as far away as 70 feet from the unit. CFR’s solution control technology enables the user to clean all types of fabrics without the worry of over wetting. 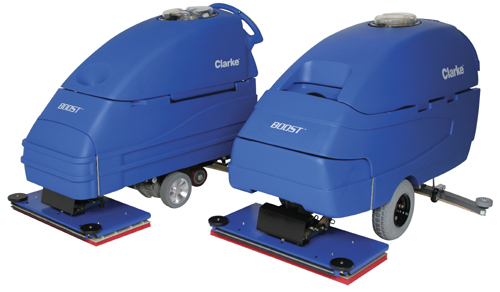 The Pro 500 vacuum system offers 150"/135" of water lift. This superior solution control cuts dry time to as little as 1-2 hours. Runtime hour meter and separate vac and pump switches. Large 12" stair climbing wheels. Tools storage for easy portability. Wheeled handle for maximum ease of loading and unloading.